New England Patriots star Tom Brady made history in the NFL on Sunday. 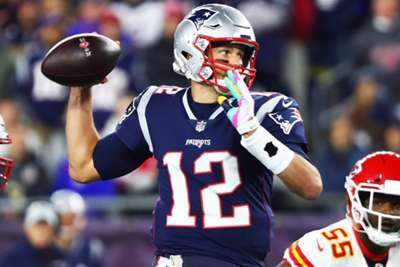 Brady became the first quarterback to reach 200 regular-season wins in the NFL after guiding the Patriots to a thrilling 43-40 victory over the previously undefeated Kansas City Chiefs. The 41-year-old completed 24 of 35 passes for 340 yards and a touchdown in the Patriots' win. Brady already owns numerous other NFL records, and a few more could seemingly follow.